Free parking during the day (excluding holidays) in our large parking lot and valet parking in the evening beginning at 4:00 pm. Gary Sherer at the piano Thursday thru Saturday evenings from 8 pm in the Gar-Bar. Dancing and singing along to your favorite tunes. 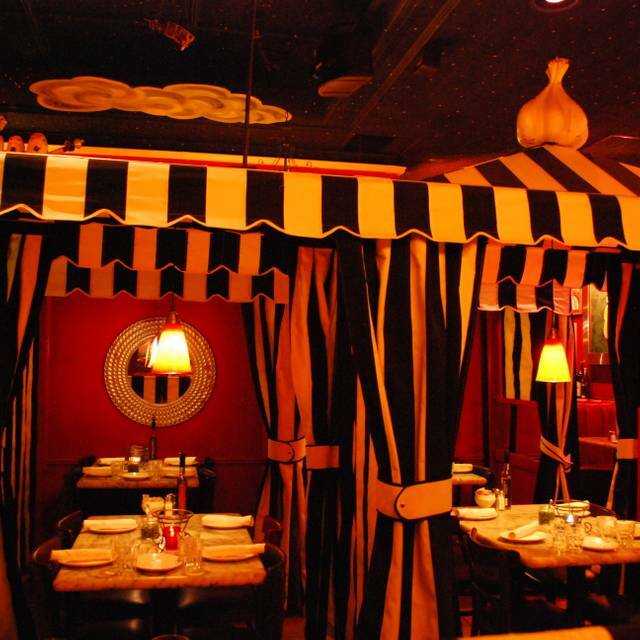 Located on Restaurant Row in Beverly Hills, The Stinking Rose is as unique as its name--romantic tents for dining and garlic-themed rooms for special occasions or just a bite to eat. Food was delicious!!! Just felt a little rushed with the server who took our order. Horrible service after hearing so many great things about this place what a disappointment hot stuffy never again we had a party of 7 and 600 plus bill for the worst time ever. Every dish was delicious! Great service and great ambiance! The food and the service was quite good. I enjoyed the venue and it was close to where I was. I would go back. The cost was a little high for the items we ordered but need to consider the venue and location. Went here with a friend for his birthday. Very pleasant experience. Good food and atmosphere. Able to linger and talk in comfort. The meatloaf was fabulous! First time back for me after 14 years, and first time ever for my husband. We had such fun and the meals were delicious! We will be back again soon. such a. fun place to take family and friends for a night out. My mom loved her Birthday Dinner. First time here, and I loved it!! I LOVED the environment, the service from the nice older Hispanic man letting us know what his favorite dish was to Aaron, our waiter. The food was AMAZING. I have been there multiple times over the last 10 years and have never been disappointed. I have been here a handful of times and lately the service keeps going down. Dined here on my daughter’s request to celebrate her birthday. I was satisfied from the reservation process all the way to the end. Service was great, ambiance was amazing and the food was delicious. I’ll definitely come back. There’s been a trend among restaurants over the past 8 or ten years to reduce the doneness if steaks. This was no exception. Both steaks were ordered medium in anticipation of this, fortunately, and came out on the rare side of medium rare and were quite tasty (although, her filet had a hard lump of gristle that actually seemed uncooked). We were a couple seated at a four-top (which was perfect for us), but, upon seeing that there happened to be only 3 chairs at the table, the hostess retrieved a fourth and kept trying to shove it in next to me. When asked if there was some, strange fire-code requirement, she finally relented and removed the two extra chairs. Quite peculiar. The meatball appetizer was nice and cheesy and was a good accompaniment for the garlic rolls. 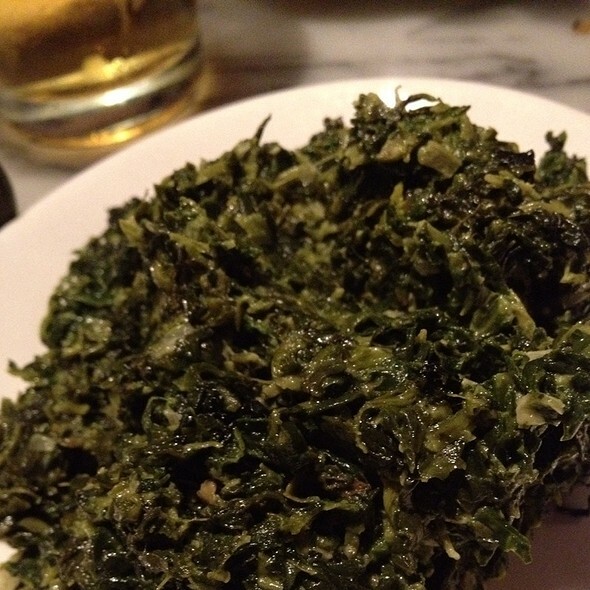 The sides (garlic mashed potatoes and creamed spinach) were both quite bland and the spinach seemed to be just like the bricks of frozen spinach I grew up with (without any seasoning, that is). The drinks were quite good. I had a Guillotine while my wife had a Margarita. Overall, a pleasant evening and a fun/unique experience for a group. 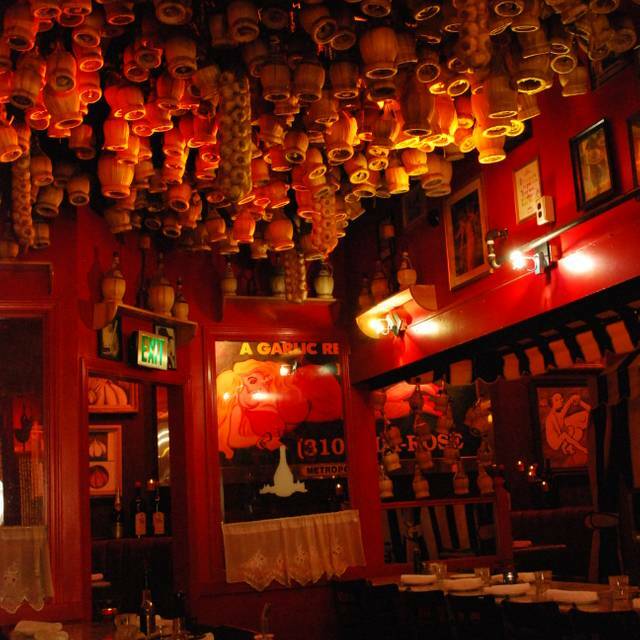 If you like garlic you will love the stinking rose, the place is very charming and nice. Our waitress was great! She knew when to approach the table she was very informative and super sweet! 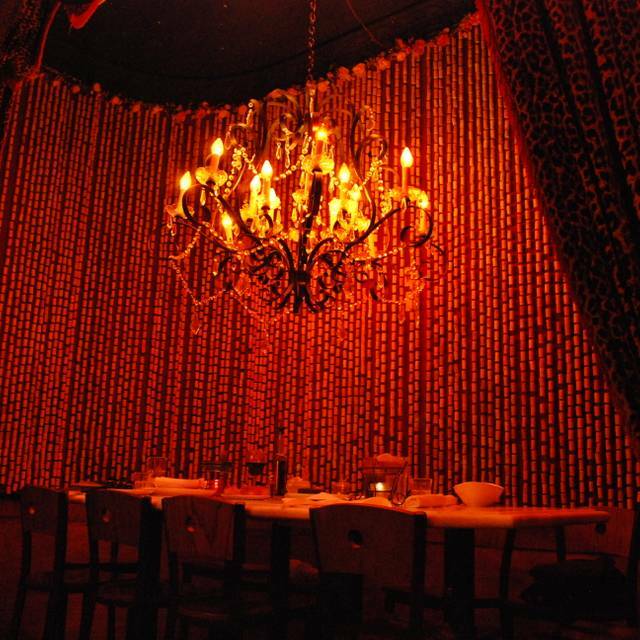 The place is pretty cool,different from a lot of other restaurants. Food is pretty good and was out pretty fast! The petite filet mignon was the best I've had...perfectly prepared! My husband said the same thing about the pork chop he ordered! The incredibly delicious tiramisu and vanilla ice cream ended a perfect dining experience! Amazing!! Delicious food...so much garlic (which we loved of course), AWESOME service and such a fun ,funky, totally unique vibe! 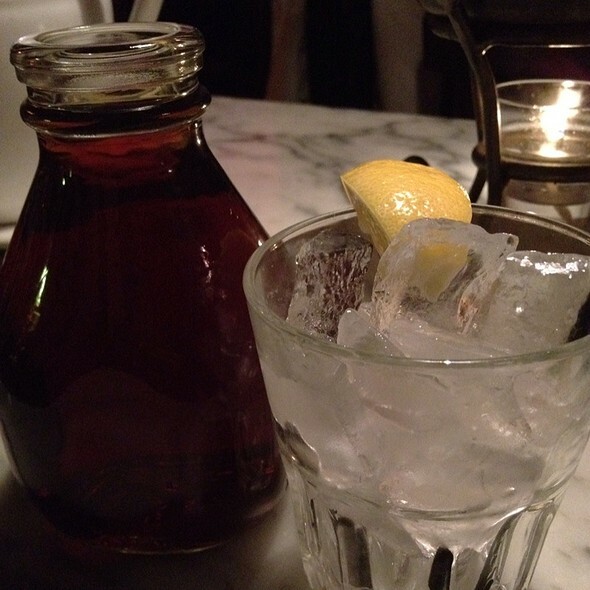 We highly recommend the Stinking Rose and can’t wait to go back soon! Some of the waiters and bus boys need to be trained in professionalism and politeness. I am a huge fan of garlic so I thought it was fun. The food and drink was delicious. The service was great, she was attentive to our party of 8 and informative for our first time. The drinks from the bar take too long but that can be forgiven this time around with all the other great attributes. The Ribeye was amazing. The flavour was well balanced and the garlic was not overbearing. The food was phenomenal. 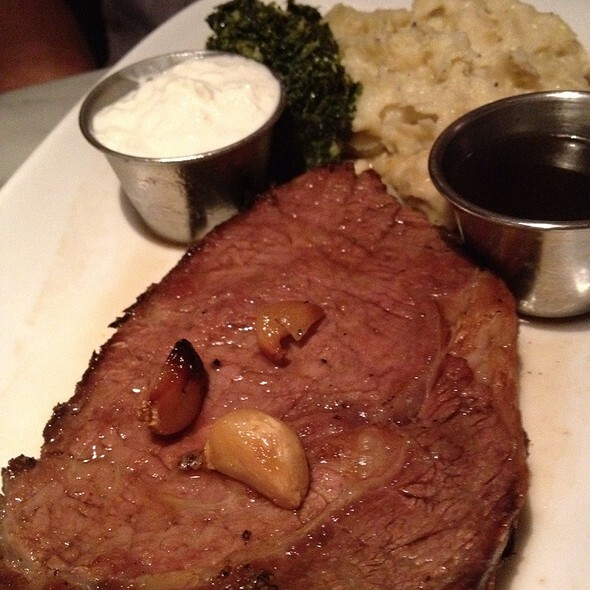 Hands down best pasta, prime rib and mashed potatoes. The garlic ice cream was surprisingly delicious as well! 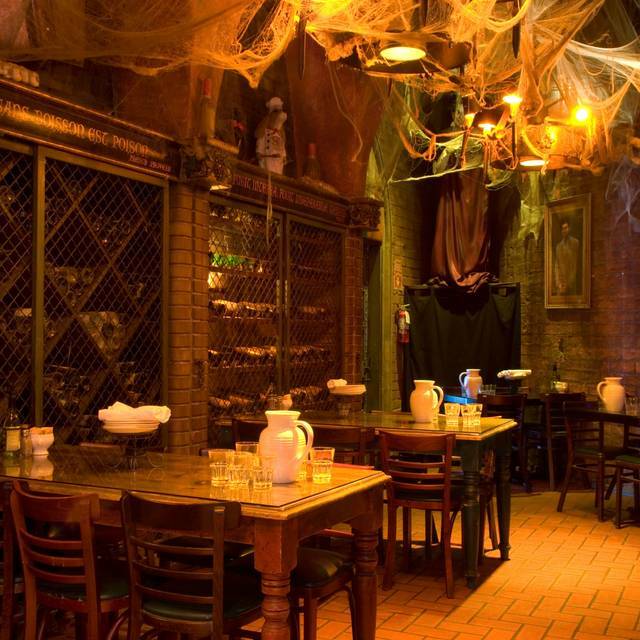 Kind of a quirky little place, but so amazing. 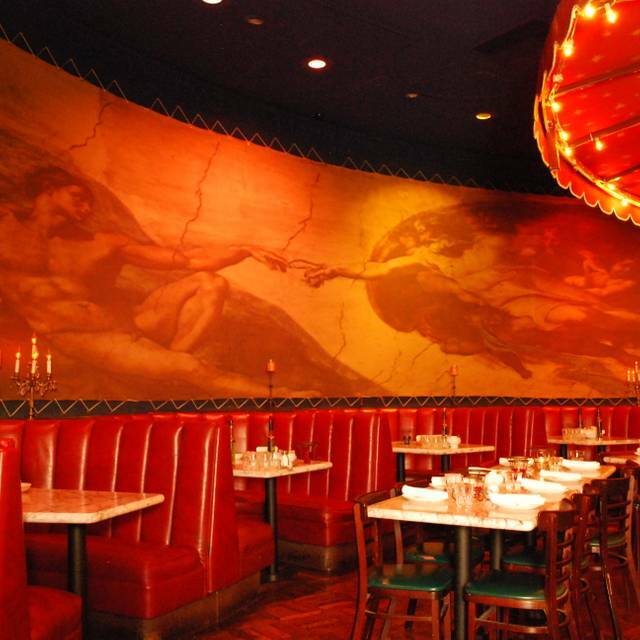 Good food and drinks are to be found here, in beautiful Beverly Hills. 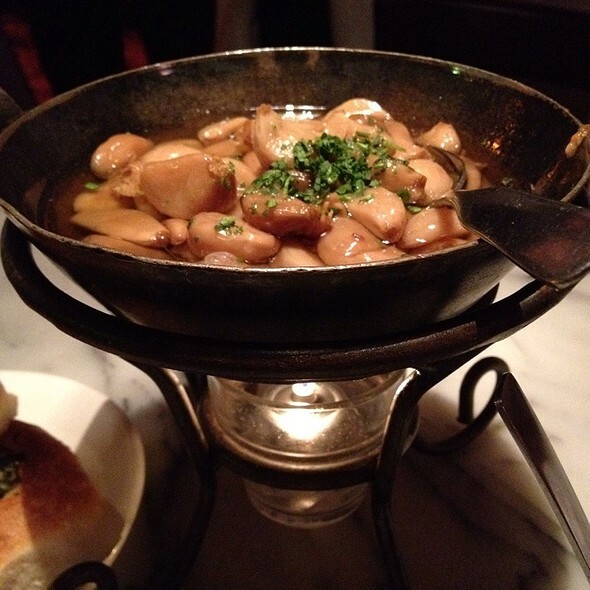 The two stars of the show here are all the nice dishes with fresh garlic, and their glorious piano lounge ! The food and service was amazing, took my niece for the first time and we loved everything about our experience. I took my boyfriend there for his birthday and we had a wonderful time. The food was amazing! He loves garlic so he enjoyed everything!! Our server was awesome! We didn't have to wait along time for our food. We will definitely be going back. We had the best possible service ever, our server was very polite and gracious. Way to go.